The Episode starts with Poonam missing to see Chakor. She meets the principal and gets angry. She asks principal to call Chakor and take action against her. Anjor tries to stop Poonam. Principal asks Poonam to go home, she will look after Anjor. Poonam leaves. Sameer says I went to Anjor’s house to make her mood better. Prakash asks why. Sameer says Anjor is upset. Prakash asks did you tell Anjor about her mum visiting your house. Chakor asks them to read the copies and get ready. She tells everyone about the play, which is based on mum and daughter’s story. Sameer smiles hearing her. She thinks of Anjor and tells everyone about her daughter. Anjor sees her and doesn’t let Poonam see her. She asks Poonam to go home. Chakor says this play is imp for me, I want you all to work hard, Reema will be right to play the daughter, Sameer will be the play hero. She thinks Sameer will be playing Suraj’s role. She says main lead role is of a mum, who will be doing it. Anjor comes with principal. Principal asks Chakor not to make Anjor out, Anjor will do the lead role. Anjor says yes, I will do my best, I will work hard. Prakash asks Sameer how will he stop Chakor and Anjor’s fight now, they will know his relation with them. Chakor says this story is based on mum Mamta and daughter Mishti. She recalls Anjor and tells their story. Anjor cries hearing her. She recalls Suraj’s love. Chakor speaks of mother’s love. Anjor asks is this your story, where is your daughter, didn’t you get her along. Sameer says we shall start rehearsals now. Chakor says Anjor you are doing mum’s lines, come and rehearse with me. Anjor asks what’s this fake lines, I m a seasoned actress, I will make my own lines. She throws the script and goes. Poonam argues with Jatin. She says you are an irresponsible dad, how can you send a guy to Anjor’s room. He says he is Anjor’s friend, don’t make this an issue, you can’t understand their friendship, I trust Anjor. She says you find Anjor worried, her new teacher removed her from play, I can’t tolerate her tears, you didn’t take any action, so I have done it. He says good, you are great. Anjor cries and says you didn’t love me, else you would have not left me, I hate you Chakor, its enough now, I will expose your true face on the stage, then you won’t have any respect and job. Chakor is with the students. Days pass. Rehearsals go on well. Chakor says tomorrow, one last try, work hard and we will win. Anjor messages something to Sameer and Reema. Chakor waits for Sameer for the play to start. She goes to make the announcement. Anjor asks who will do Sameer’s part. She goes to tell everyone about the sacrifice tale. The girls come on stage. Reema plays the mother, while Anjor plays the daughter. Chakor wonders what’s going on, why are they playing another script. Anjor cries and says everyone lives for oneself. The people get angry on Chakor for having such bad play script. Chakor worries. 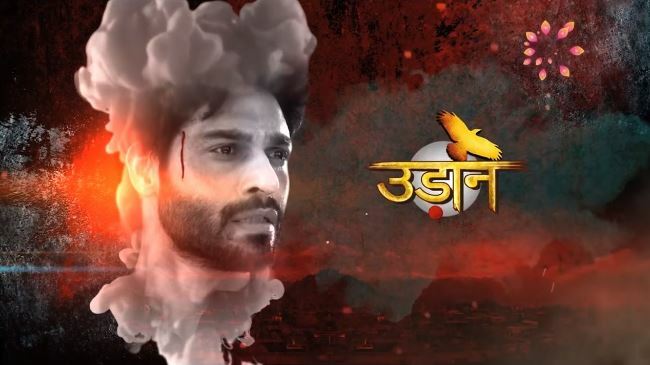 The post Udaan 11th March 2019 Written Episode Update: Anjor gets emotional appeared first on Telly Updates.